A good number of men think girls cannot be funny. They can be sweet, they can be smart, but never funny. An all-girls group in Pakistan that goes by the name of The Khawatoons is trying to challenge that. Four shows down - two in Karachi and two in Lahore - The Khawatoons are already being reckoned as Pakistan's Funny Females. For the uninitiated, Khawatoons is a clever take on Khawateen -- that's Urdu for women. 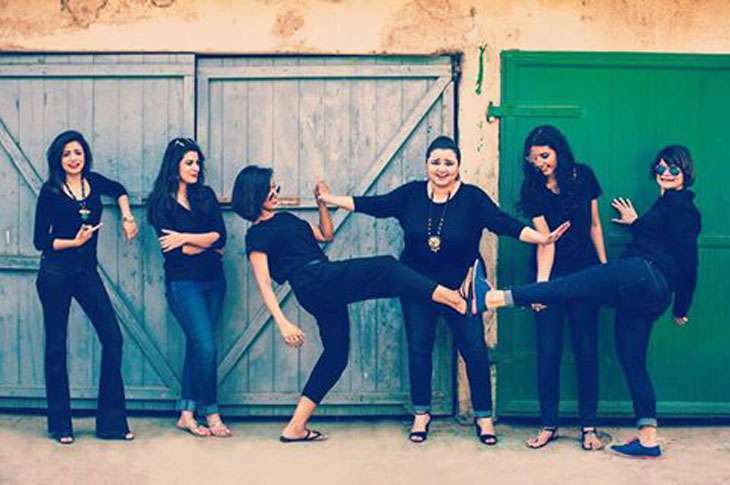 The group owes its existence to Faiza Saleem, a Karachi-based comedienne. Saleem was a lawyer before she decided to pursue comedy full-time. It's never easy to put a comedy troupe together. And more so in Pakistan. I got my core team together, all of whom had no prior improv experience but had immense potential. Together with training and their natural flair for comedy, we have come a long way," Saleem tells Catch. Longest & grandest - the Abba of all shaadis just ended in Pakistan! Saleem launched her troupe in July, but started working on it last year. There are currently seven members in The Khawatoons, including her. 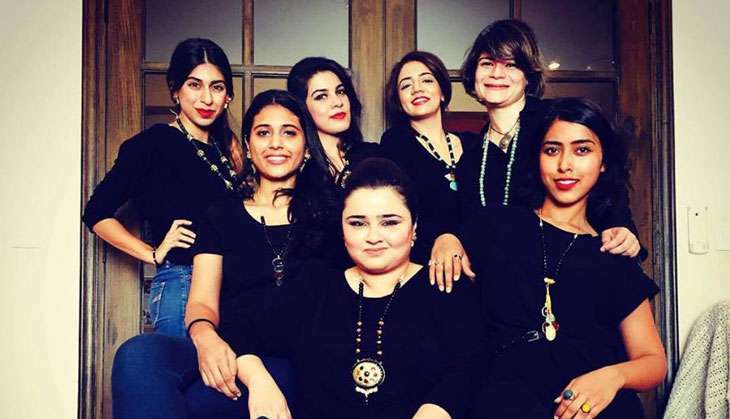 "With our comedy, the aim is to get more women in Pakistan to join the field and not be restrained by gender stereotypes. We have girls of all shapes, sizes, colours and backgrounds and that is what is most important for me - for people not to be defined by their external circumstances especially if that means that they can't follow their dreams. Through our work we want to promote a better image of Pakistan and of women in Pakistan. We want people to break free of their chains," she says. The Khawatoons have done four shows in the span of one month and they have another one lined up in Karachi later this month. Saleem is also a part of Auratnaak, another all-female group, which did a stand-up comedy act in June. "I am still part of the Auratnaak show but it involves a different group of people than The Khawatoons. Auratnaak does stand-up comedy and The Khawatoons mainly do improv as of now," she says. The Auratnaak show killed every prejudice, every patriarchal diktat with humour. Their digs with the subcontinental obsession with fairness - "Mein gori hoon, yeh meri life ka sabse bara accomplishment hai!" and the endless instructions to girls to dress up modestly -- "Aap dupatta pehen le. Aap ankhon pe pehan le, sari problem hi khatam hojayegi!" had the audience in splits. In Pakistan, Saleem is a well-known theatre actor, improv artist and stand-up comic. 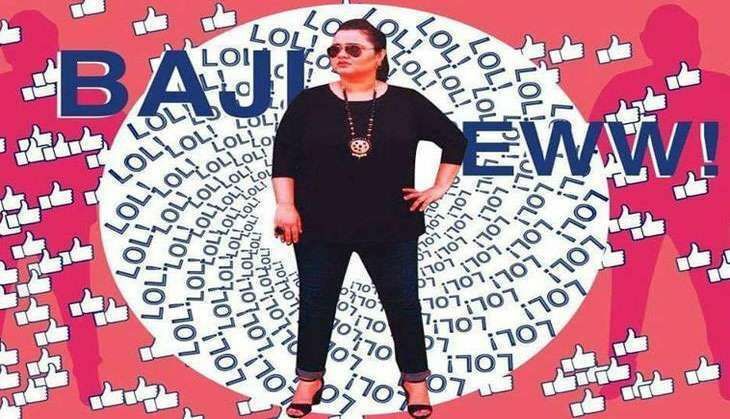 She is also Pakistan's first female social media entertainer apart from being the founder and director of The Khawatoons. "The response has been so great that its overwhelming. The love and support we have gotten from everyone around us as well as outsiders really keeps us going. However, there will be ups and downs in the future and I'm prepared for that," says Saleem. The troupe's performances are not just for an all-female audience. "Not at all. We perform for a mixed audience. But we are open to performing for an all-female audience too though," she quips. Asked if she considers herself successful, she says, "I wouldn't be so quick to call myself 'successful' just yet but I do feel that my work makes people think, even if it's for a little while. When someone tells me that my story has inspired them or my work has helped them in any way, it makes my day. Nothing beats being told that I've made a positive difference to someone's life." Saleem says it will be wrong to brand her troupe as a feminist group - because this is a feminist movement. And there are certain themes that she would like to highlight. Such as fat-shaming. It's a theme that is close to her heart because Saleem herself is on the plus size. "For any fat person, more so for a girl, it is embarrassing to say 'I am fat, deal with it'. I have said that in my shows and people have come up to me and said that that made them feel better and more accepting of who they are," she said in an interview to BBC Urdu. "I think the aim of comedy is to not just make people laugh, but to change their mindsets, to bring about a change in society." She despises the "Desi Auntie culture" in Pakistan. In fact, she has dedicated a video to a Lahori auntie. She wants them to know what marriage is not an end-goal for a girl. Though Saleem and her troupe want to reach out to a larger group, people often seen them as an elitist group. And there are others who dismiss them as shameless women, with no manners, and who are not from "good families" or educated. But Saleem is sure that her troupe and she will see better days soon and not be seen as a group of girls who are better suited for a cooking show.